Novi and Jordan Valley Station is a commuter's dream. 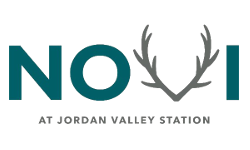 We are conveniently located just steps away from the Jordan Valley TRAX station for ease of access to all of the area's best offerings and attractions. Novi is also located just a short distance from Bangerter Highway with connections to I-15 and I-215. The entire Great Salt Lake area is yours to explore. Enjoy some of the best restaurants and shopping in nearby Jordan Landing and The District shopping centers. With close proximity to golf courses, movie theaters, parks and public areas, you can take a break without going far from home. Take a weekend excursion to enjoy the sights in Salt Lake City or Park City, both just a short commute away. Wherever life takes youwe want to help you live, work and play at Novi!